What is your favorite color? If someone were to ask me this question it would be very easy for me to answer. RED. I love the color red, I always have. It was the accent color at my wedding, the color of my favorite purse and I always have a few different red pairs of shoes on hand. Last month I had a photo shoot on the Dry Lake Beds that are located about 45 minutes outside of Las Vegas. This is one of my favorite places to shoot. I love how open the area is and how the vast nothingness allows the focus of the image to be on the subjects. I do not use a lot of props in my photography. I am simple. However, for this photo shoot I knew I wanted one special prop. I wanted a red tricycle. 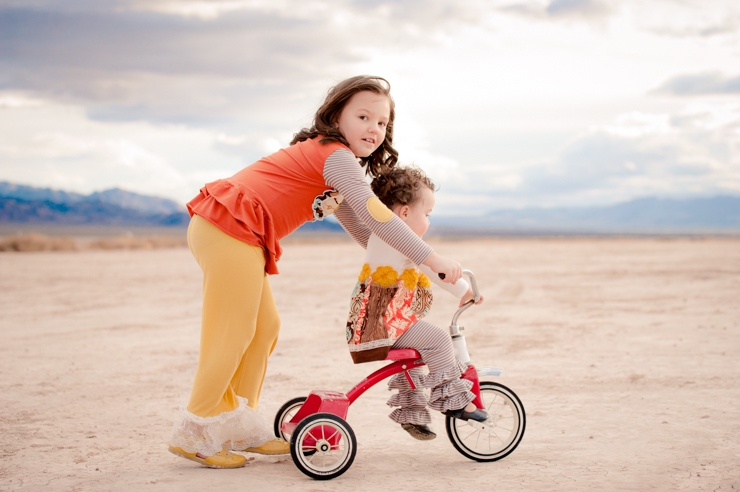 I knew the color would pop and the tricycle would help add an element of fun to the shoot. I went searching on my neighborhood Facebook garage sale site and within a few hours I had located the perfect, classic tricycle I had been hunting for. 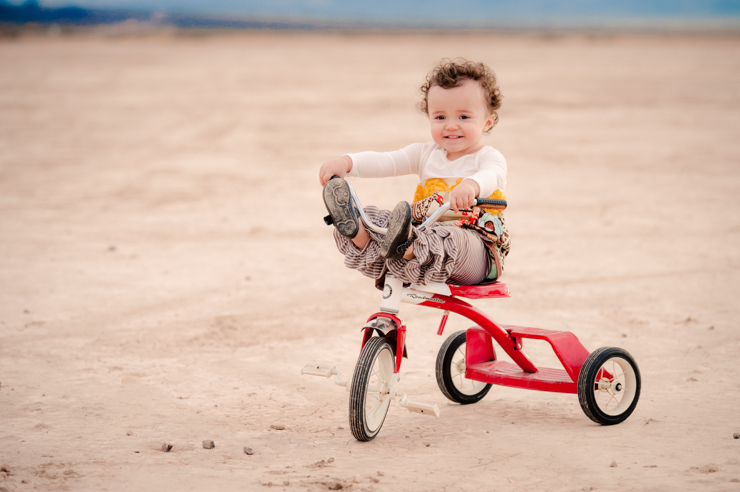 The tricycle was so much fun we actually had to hide it from the baby during the second half of our photo shoot. She was not happy when I wanted her to focus on something else besides playing! I can't close this blog post without showing you what my ABSOLUTE FAVORITE shade of red is: the color of my kids' hair! 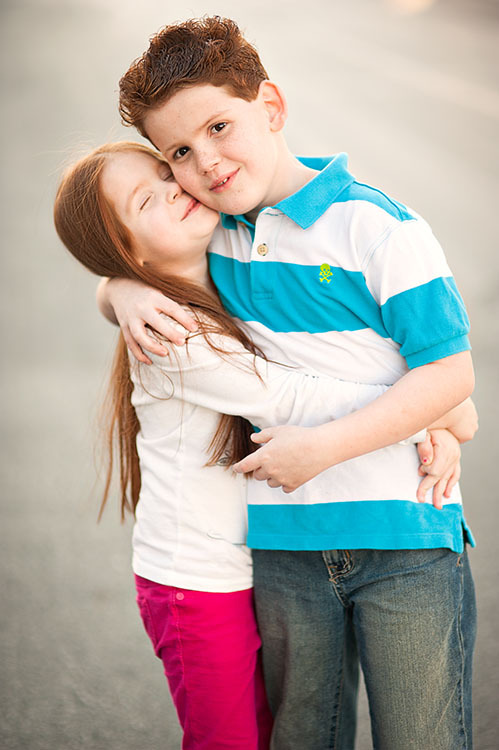 I have always loved redheads and was thrilled that the result of marrying one gave me my redheaded babies. Make sure you continue through the blog circle to see how everyone else interprets red. Next is Tina Erdman, an amazing photographer from Wisconsin. She recently returned home from Africa and has some amazing images on her blog about her journey. Are you ready for a workshop? The next workshop is up and scheduled for March 22!